With just three rounds remaining and keeping a tight focus on the Hero I-League, Bengaluru FC meets Salgaocar FC at their own fortress tomorrow evening. At par with Bengaluru is McDowels Mohun Bagan, however the later have played a match less. A must win for the host to be in the title contention - their endeavor got a mini jolt in the last away game against Shillong Lajong FC where they failed to garner 3 full points. Not everything has gone well for the Goan powerhouse Salgaocar – 17 points from 16 rounds, they are the bottom-half of the points table. Same goes with other Goan teams Dempo Sports Club and Sporting Clube de Goa. Past results favoring Bengaluru, they have defeated Salgaokar on all occasions. In recent past Bengaluru won the away battle against Salgaocar in Nehru Stadium, Fatorda, Goa. Striker Robin Singh’s header gave them three vital points, which was dominated by Bengaluru all through. Salgaokar lost previous match against Royal Wahingdoh 4-2, which Coach Derrick Perriera reckons one of the worst loss of the season. 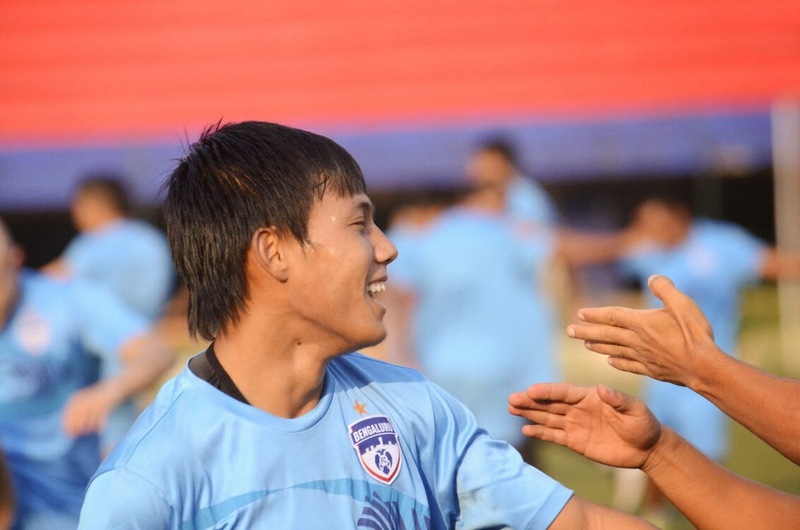 However, they have recovered from the loss and ready to take on Bengaluru. There's no injury threat to the Salgaokar players. Gilbert Oliveira who had to sit out in the previous match comes in for tomorrow’s match. Striker Sean Rooney, who was struggling with injury for past few matches has recovered now, he seems to be on tomorrow. The match will be played at 7 PM, at Sree Kanteerava Stadium, Bangalore.